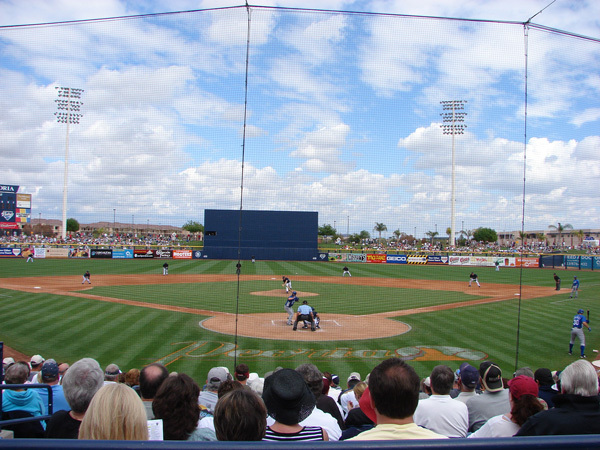 Spring Training March 23-27. 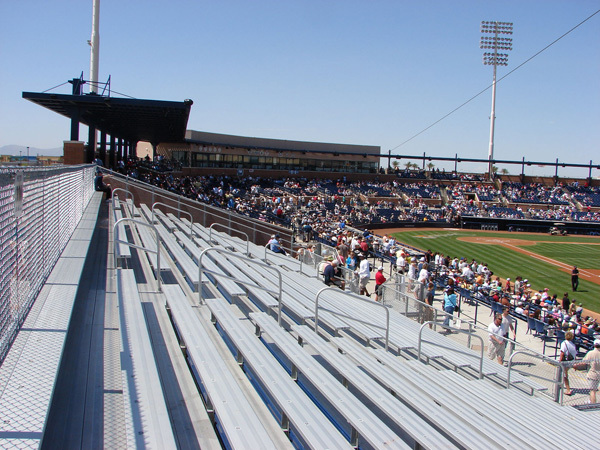 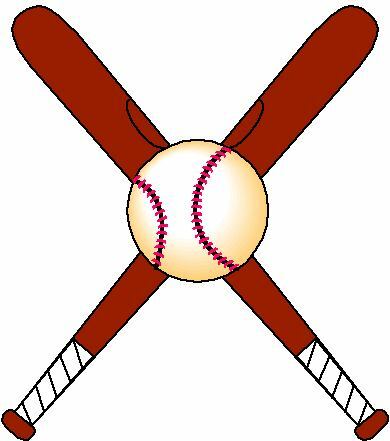 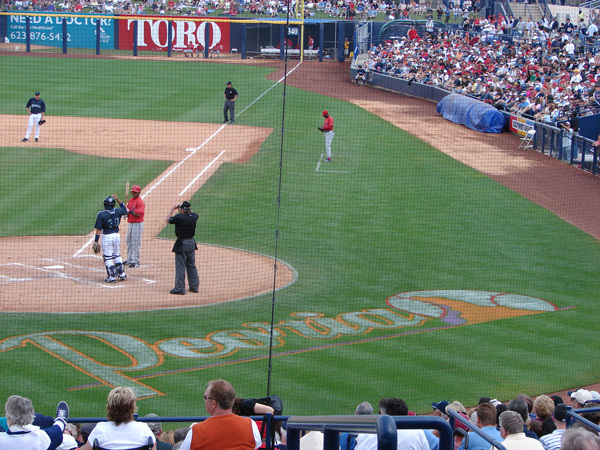 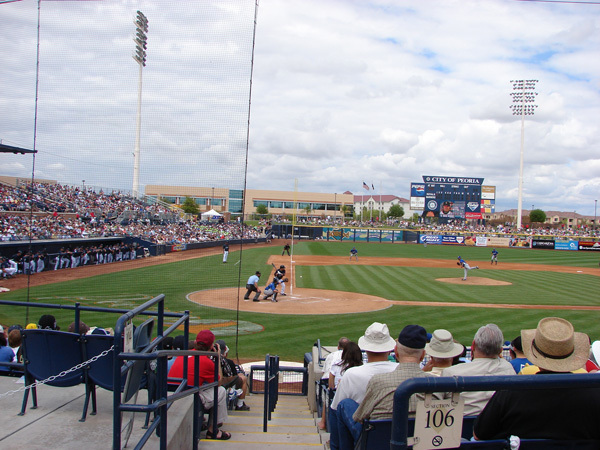 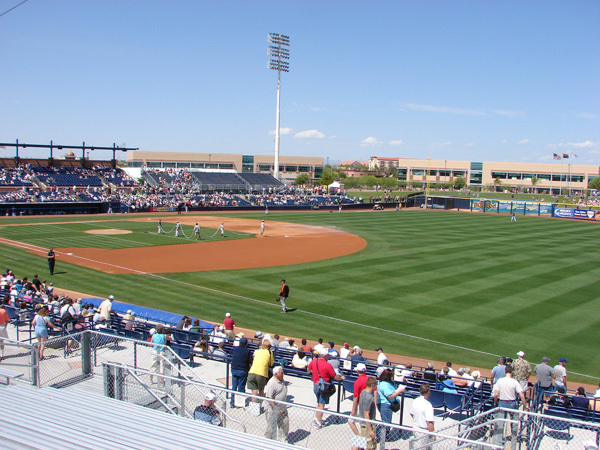 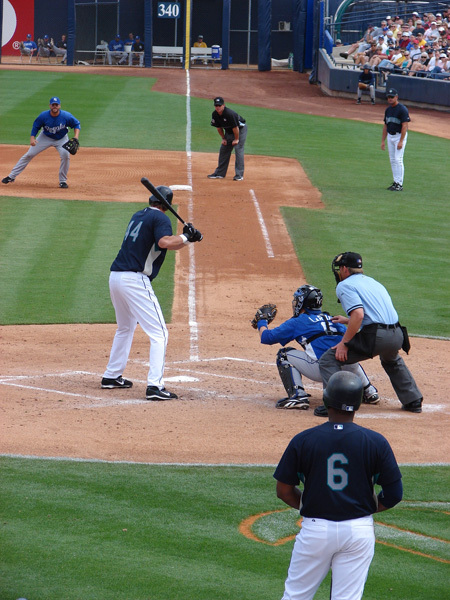 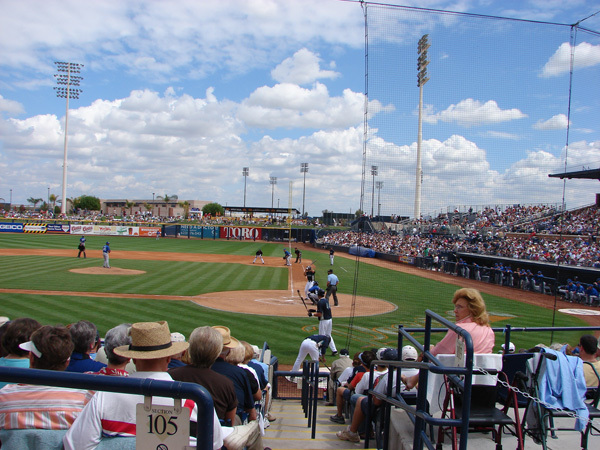 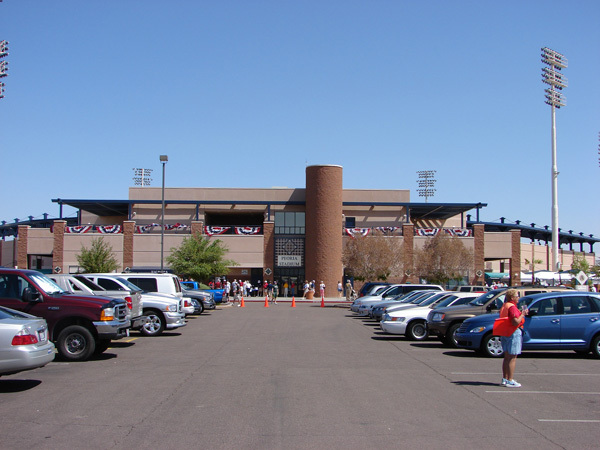 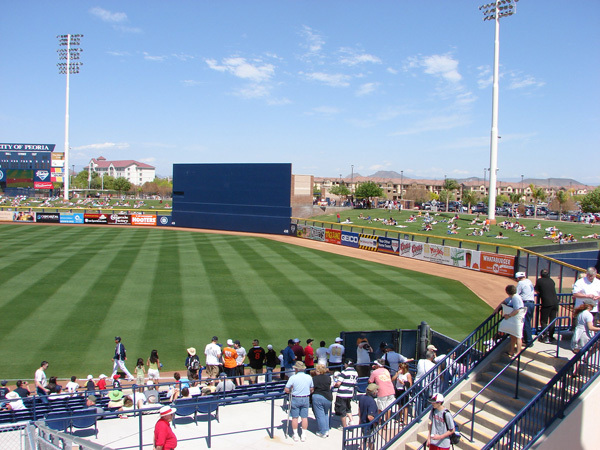 We attended games at the Peoria Sports Complex on March 23, 24, & 27. 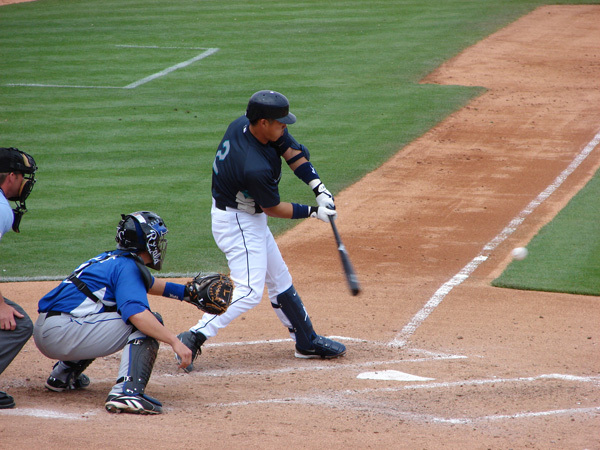 The Ms won on March 23 and 24. 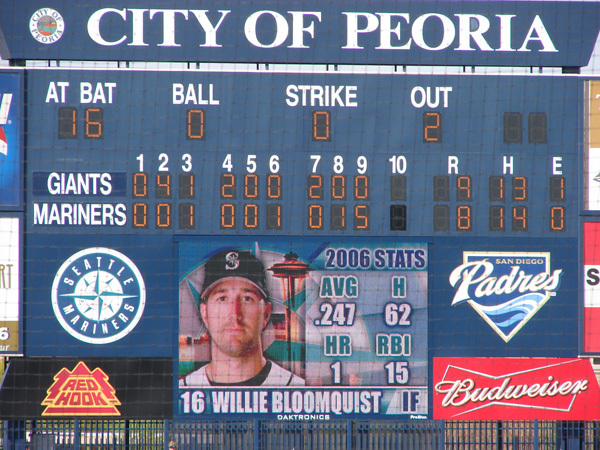 No pictures were taken on March 23. 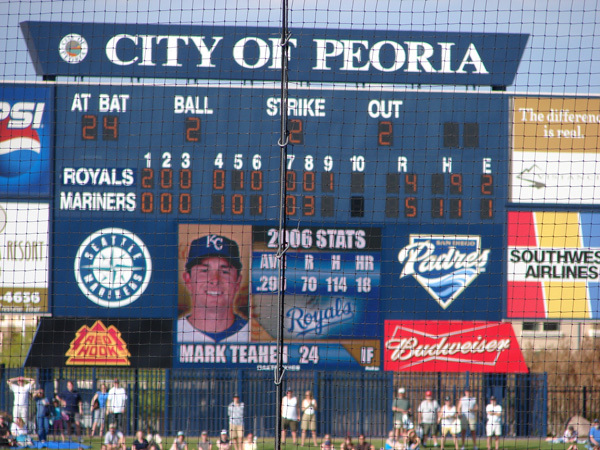 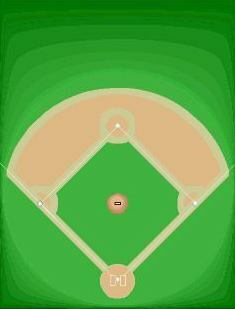 On March 24 they played the Kansas City Royals and won 5-3. 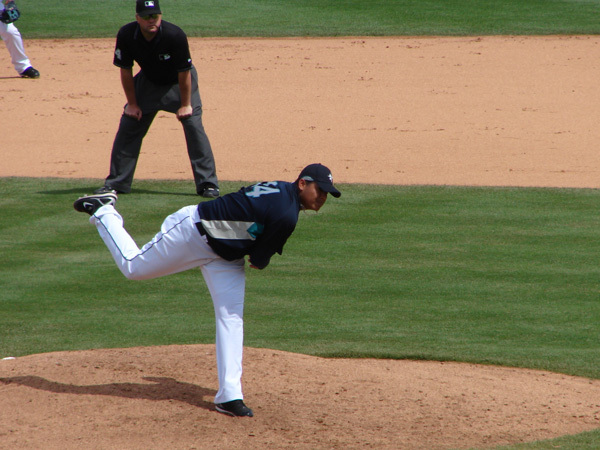 Felix Hernandez was pitching. 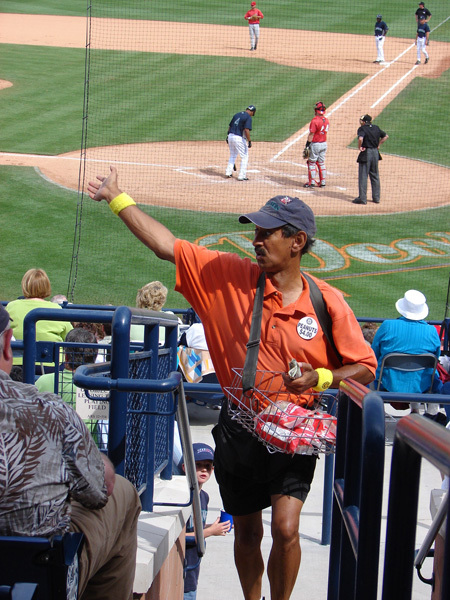 Rick the Peanut Guy was there selling peanuts and throwing them like the expert he is. 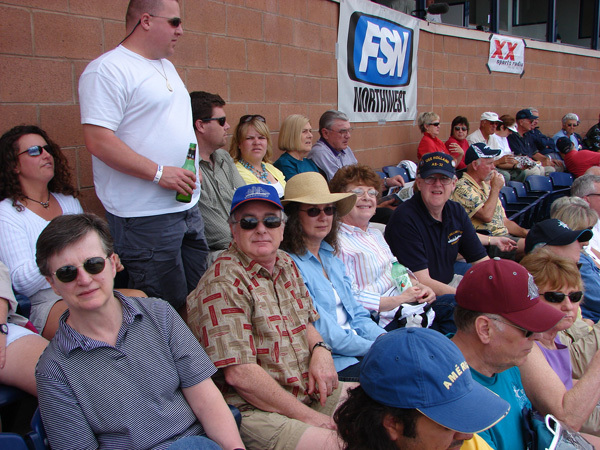 We attended the game with Andrea's brother Gary (black shirt), his wife Ruth (pink shirt), and Gary's friends Kathy (straw hat) and Ed (blue cap), Andrea (black & white striped shirt). 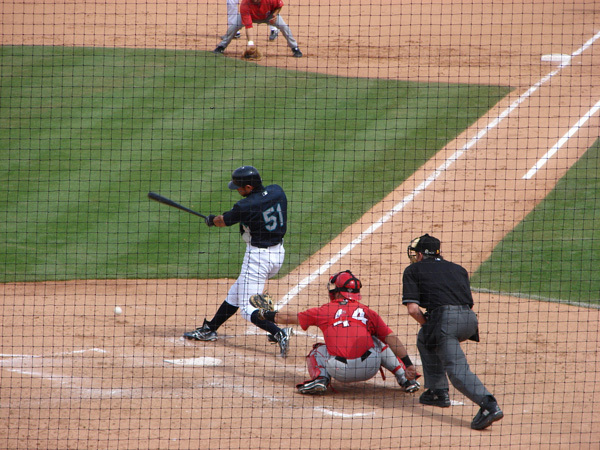 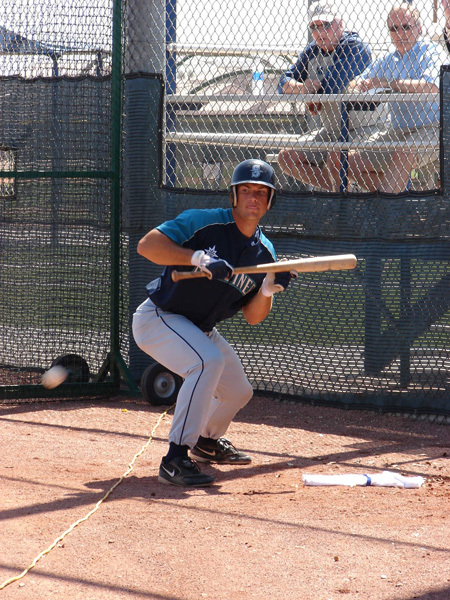 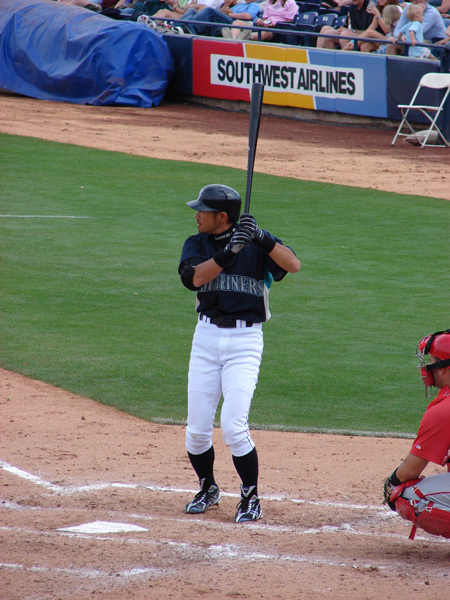 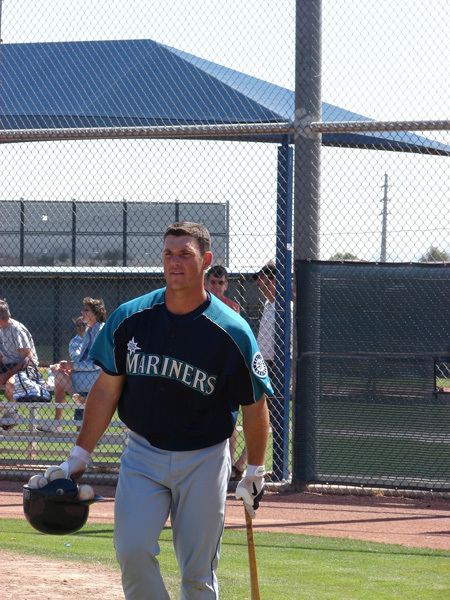 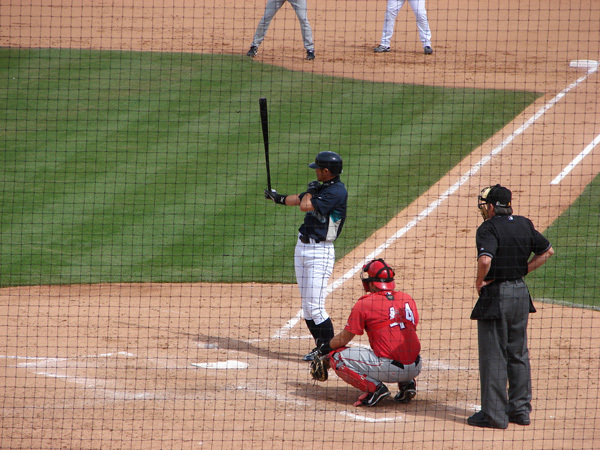 On March 27 we went to watch morning practice and I took two pictures of Jeff Clement, catcher for Rainiers. 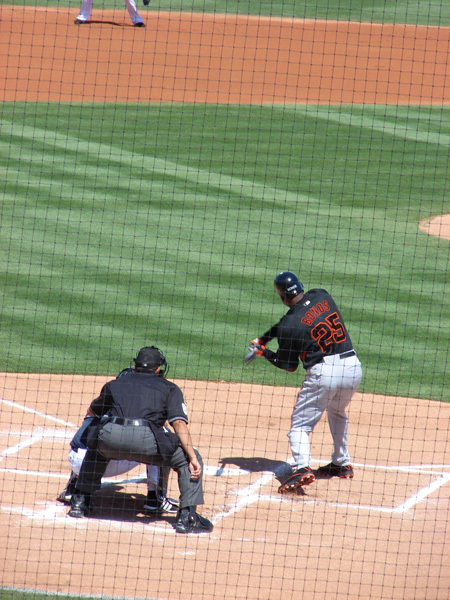 Barry Bonds is shown batting. 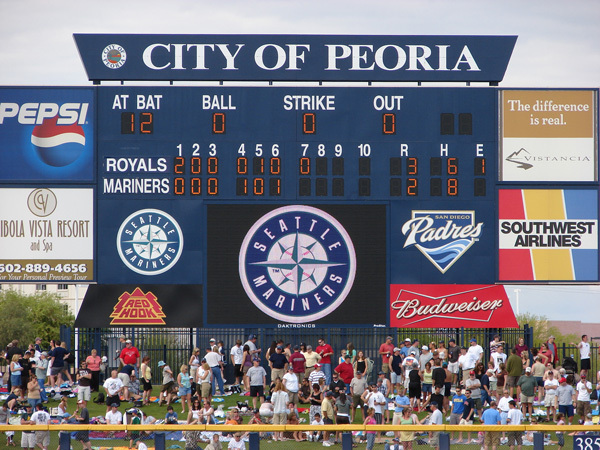 The San Fransico Giants beat the Mariners 9-8.